Man, I’ve been asked to believe some improbable things about Dennis Mitchell in my time — that he’s six and allowed to roam unsupervised around the neighborhood, that his parents talk smack about other adults in front of him somehow not anticipating that he will immediately spill the beans when he meets said other adults, that he wears literally the exact same clothes every day and hasn’t been diagnosed with a serious personality disorder or reported to child protective services, etc. 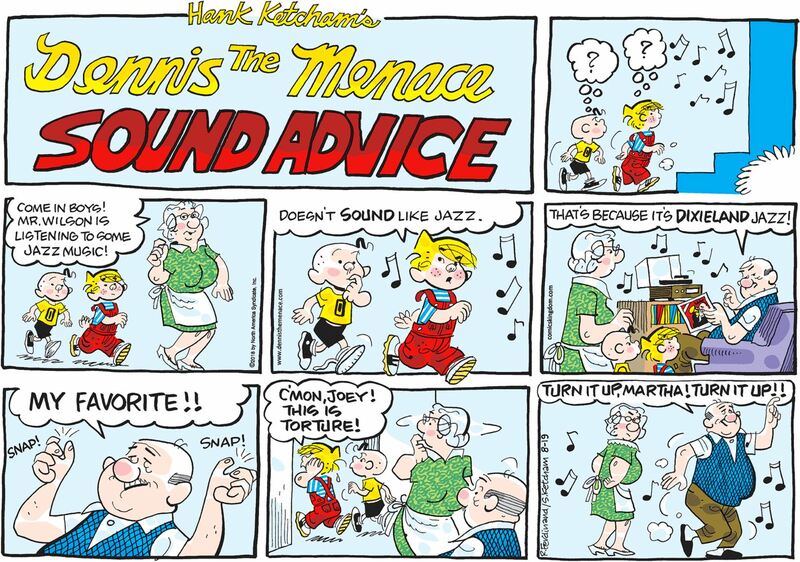 But I absolutely refuse to go along with the idea that Dennis can distinguish between different types of jazz, and moreover prefers some types to others! I won’t have it, do you hear me? I won’t! Wait, how is this Weirdly-bot getting power? Has the kooky Count developed some form of perpetual motion machine, or perhaps an engine that can derive electricity from the air or ambient light? Once again, the lede is extremely buried.